Using the cargo-area levers, rear seats fold down and form a flat-loading floor for easier cargo transport. Use to assist in an emergency situation or help in locating your vehicle. To reduce unwanted noises from roads, wind and other vehicles, this technology blocks and absorbs sound, as well as dampens and eliminates vibrations, helping to leave outside noise where it belongs. 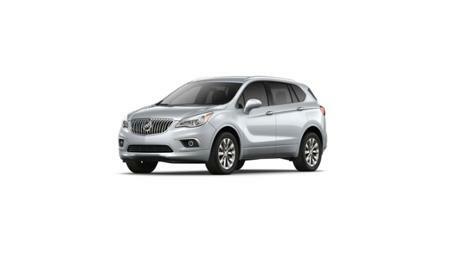 **The features and options listed are for a New 2018 Buick Envision AWD 4dr Essence and may not apply to this specific vehicle.